Spectacular vertical accent for the woodland or shade garden and one of our favorites! This is the one Fern in our gardens which always prompts visitors to ask - "What is it??" 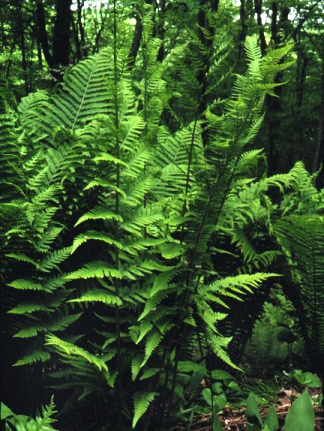 Native hybrid of Log Fern with tall, erect growth and dark green fronds.